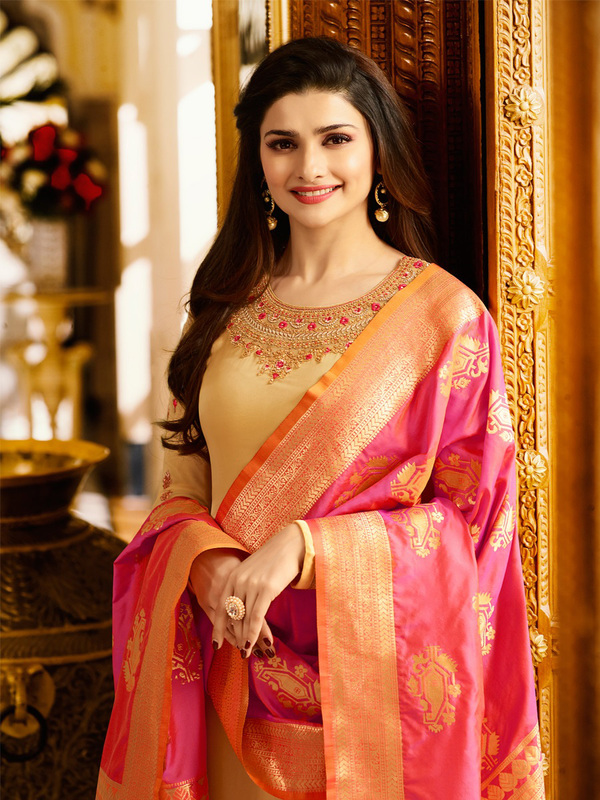 Include yourself with the glamour of the season with this glorious colored georgette-satin suit in straight cut style showcased by Prachi Desai. 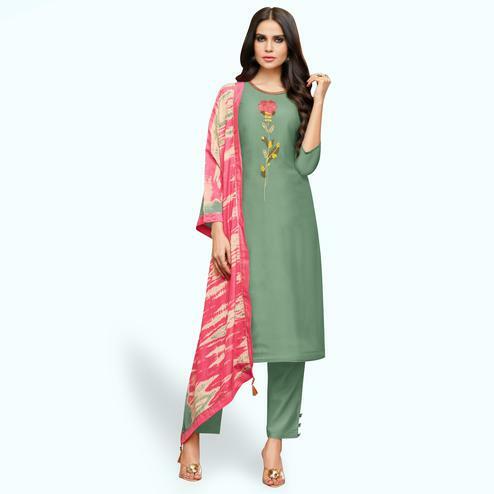 This Designer suit has been decorated with floral, lace, multi and resham work which personifies the entire appearance. Beautiful embroidery done at kameez neckline, sleeves and hemline. Paired with santoon fabric lining and santoon fabric bottom along with banarasi silk fabric dupatta. It's a perfect dress to wear for parties, functions and occasions. Team it with fashionable ethnic accessories and high heel for a complete look. Buy this beautiful suit now.